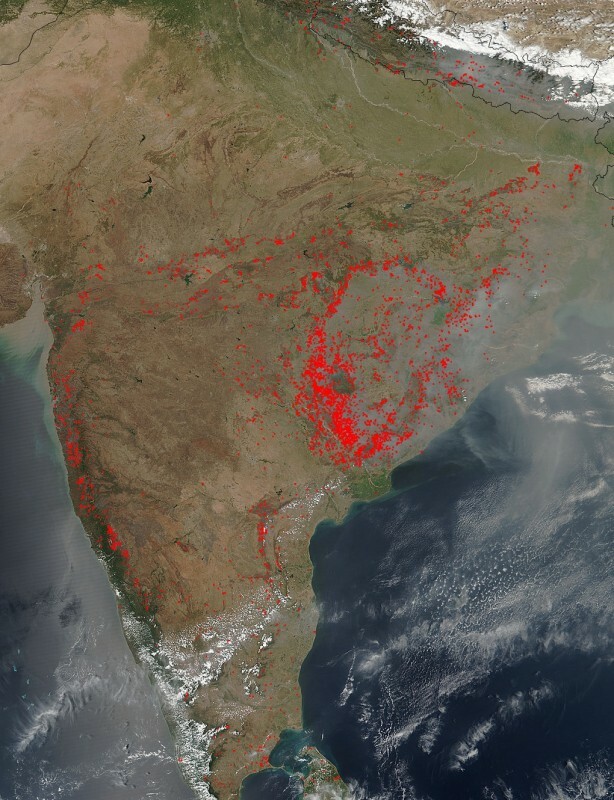 The Suomi NPP satellite instruments detected dozens of fires burning in India on March 22, 2016. The fires are outlined in red. Most of the fires burn in grass or cropland, which is tan in this image. The location, widespread nature, and number of fires suggest that these fires were deliberately set to manage land. 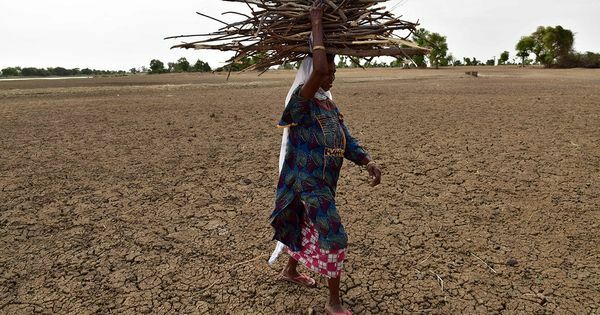 Places where traditional plots of open land is not available because the vegetation in the area is dense are the places where “slash and burn” agriculture is practiced most often. These regions include parts of Africa, northern South America, and Southeast Asia including India where an abundance of grasslands and rainforests are found. Farmers often use fire to return nutrients to the soil and to clear the ground of unwanted plants. While fire helps enhance crops and grasses for pasture, the fires also produce smoke that degrades air quality. The smoke released by any type of fire (forest, brush, crop, structure, tires, waste or wood burning) is a mixture of particles and chemicals produced by incomplete burning of carbon-containing materials. All smoke contains carbon monoxide, carbon dioxide and particulate matter or soot and is hazardous to breathe. NASA’s Suomi NPP satellite collected this natural-color image using the VIIRS (Visible Infrared Imaging Radiometer Suite) instrument.